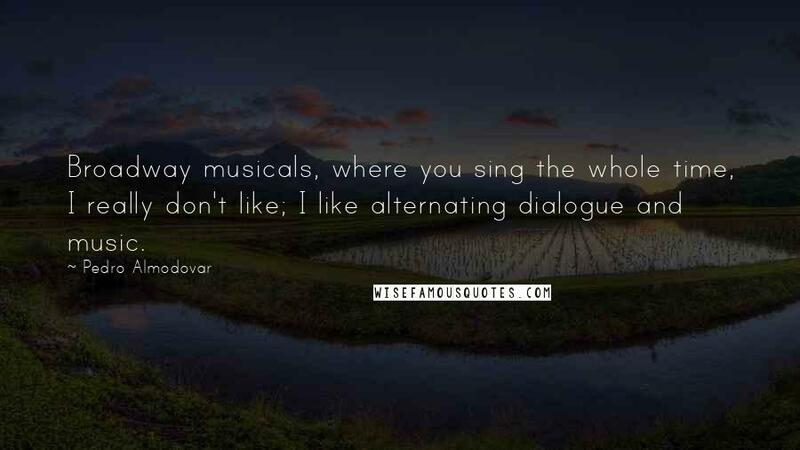 Broadway musicals, where you sing the whole time, I really don't like; I like alternating dialogue and music. 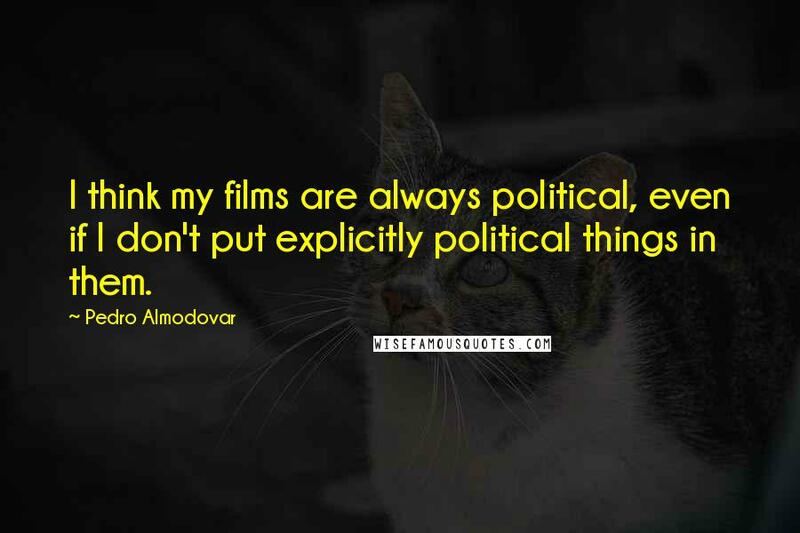 I think my films are always political, even if I don't put explicitly political things in them. 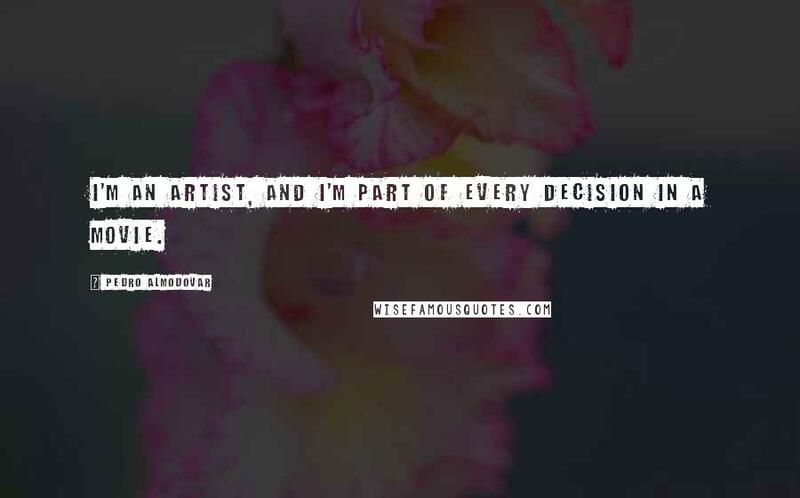 I'm an artist, and I'm part of every decision in a movie. 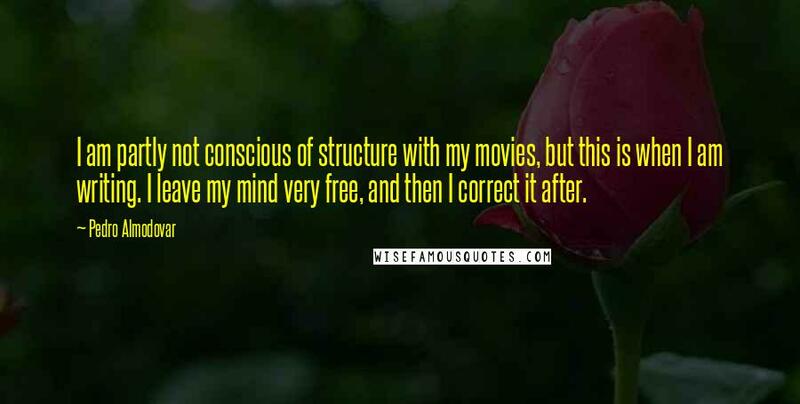 I make movies for my needs. 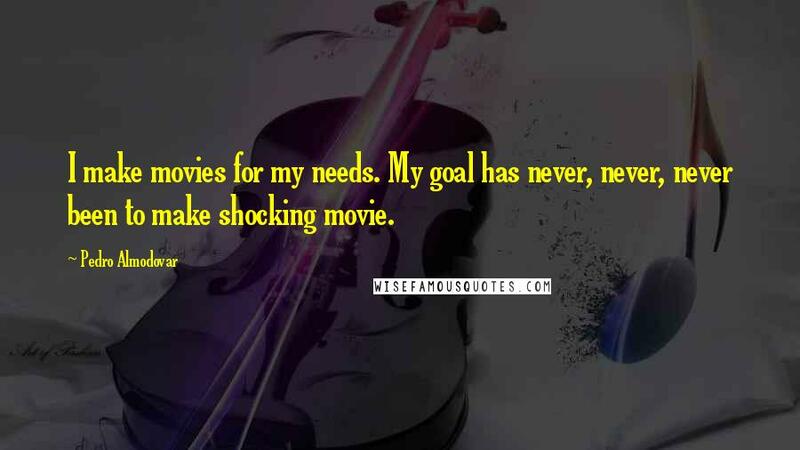 My goal has never, never, never been to make shocking movie. 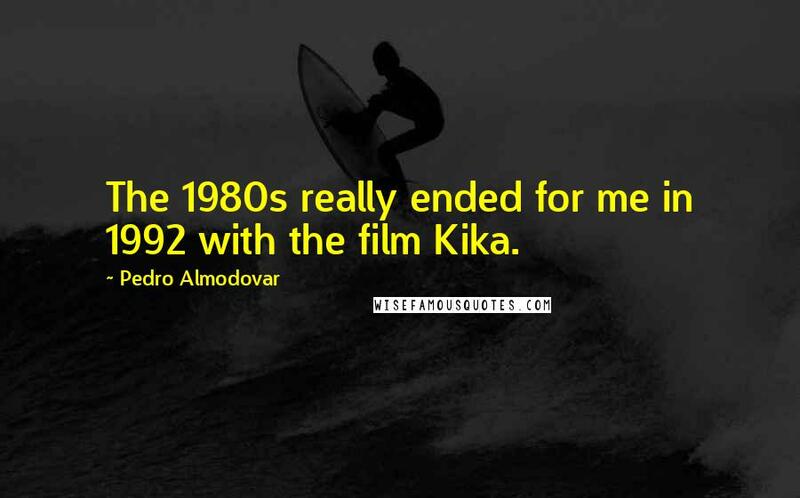 The 1980s really ended for me in 1992 with the film Kika. 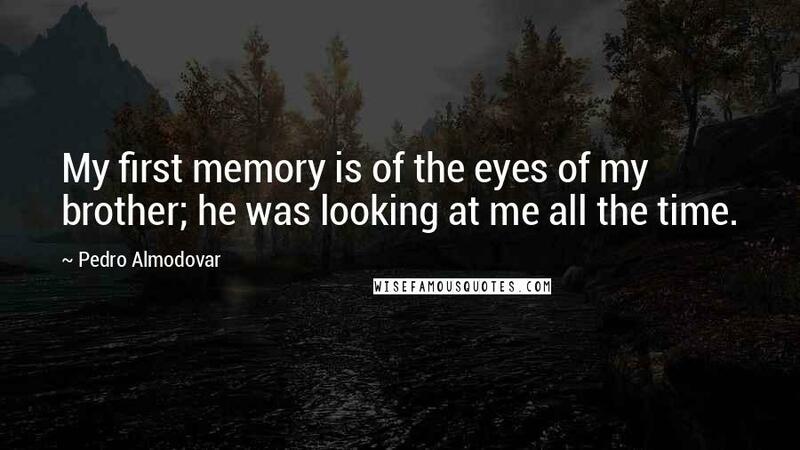 My first memory is of the eyes of my brother; he was looking at me all the time. 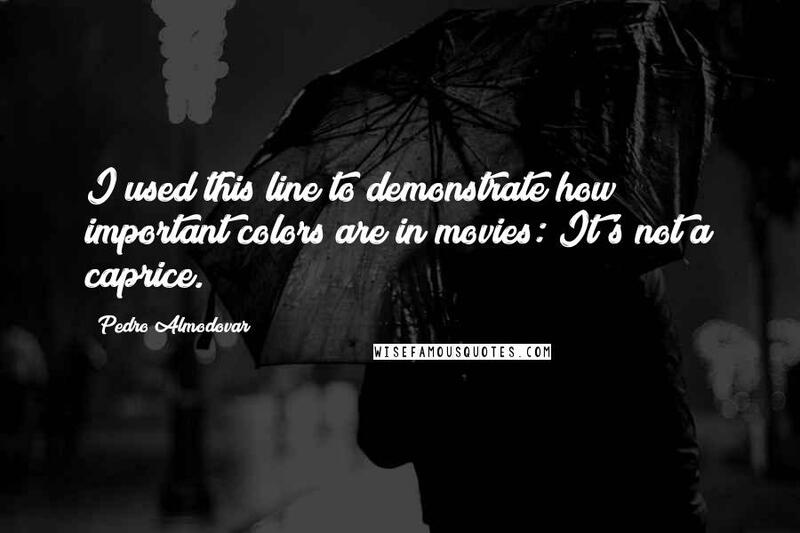 I used this line to demonstrate how important colors are in movies: It's not a caprice. 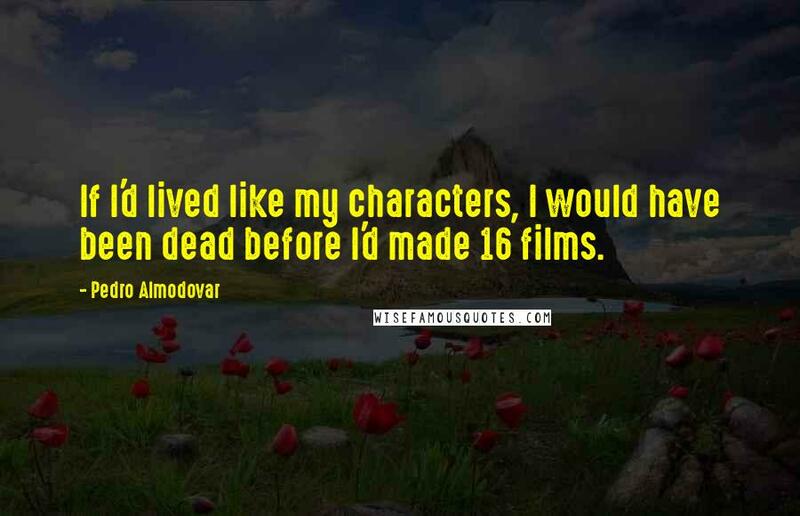 If I'd lived like my characters, I would have been dead before I'd made 16 films. 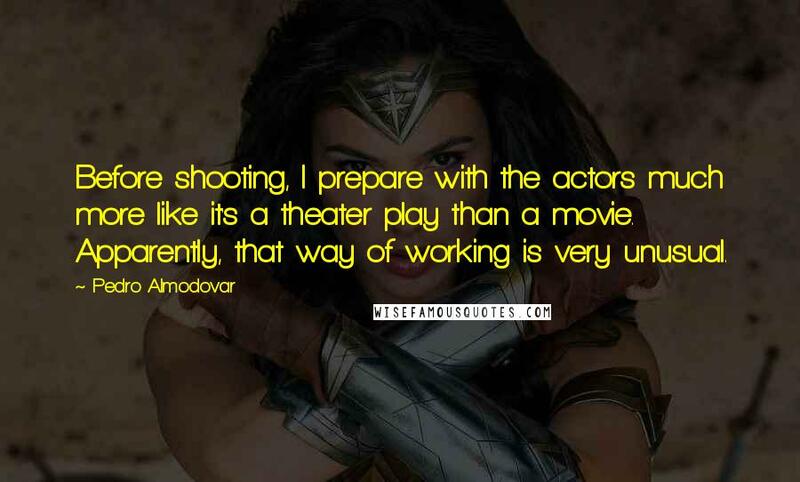 Before shooting, I prepare with the actors much more like it's a theater play than a movie. 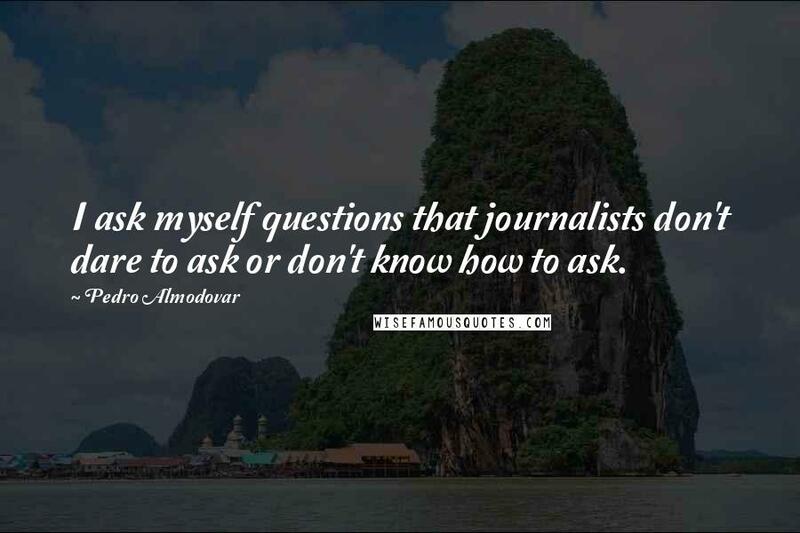 Apparently, that way of working is very unusual. 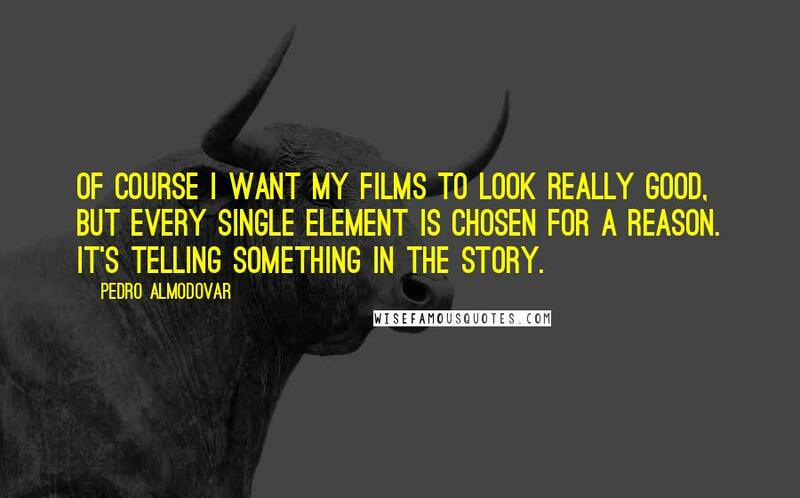 Of course I want my films to look really good, but every single element is chosen for a reason. 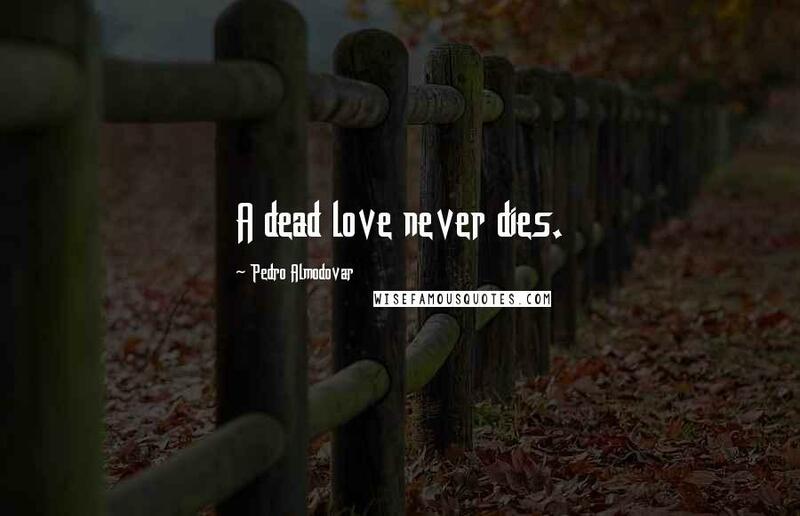 It's telling something in the story. 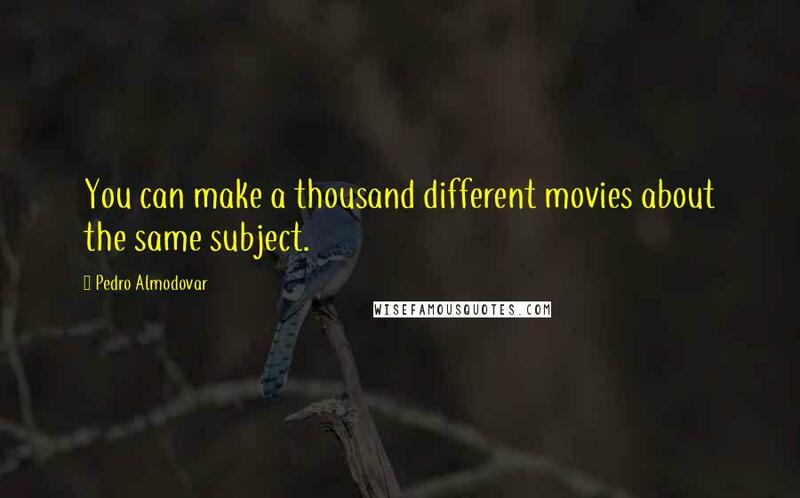 You can make a thousand different movies about the same subject. 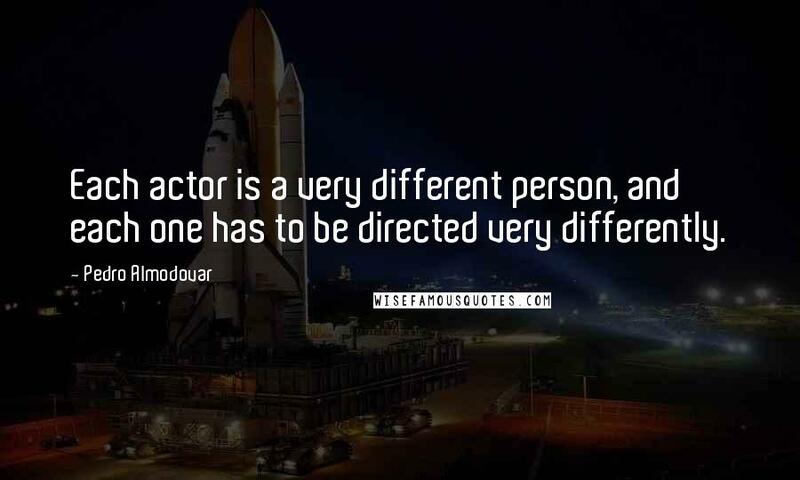 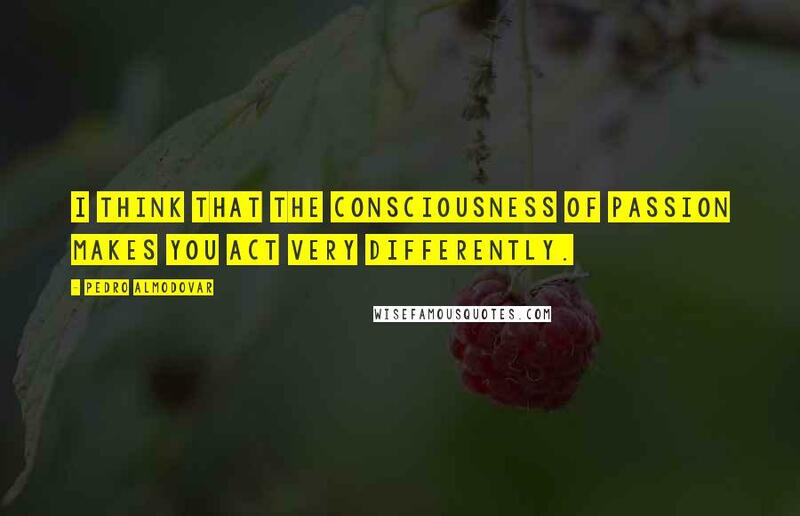 Each actor is a very different person, and each one has to be directed very differently. 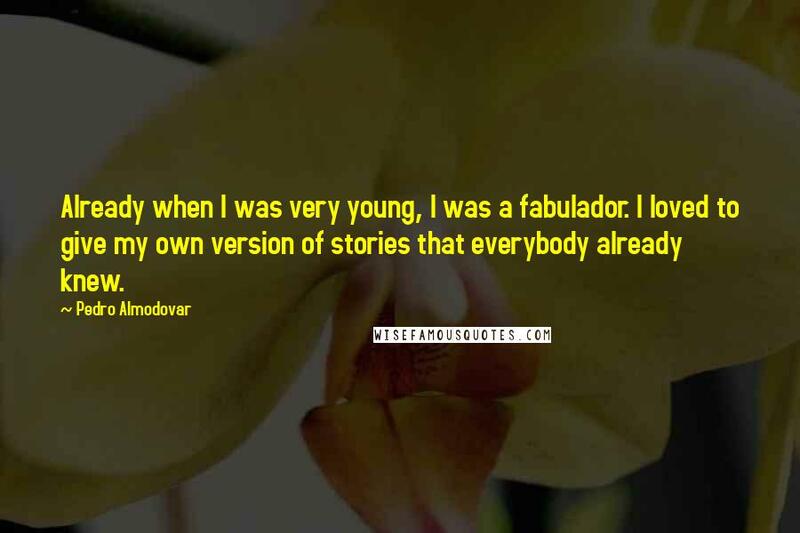 Already when I was very young, I was a fabulador. 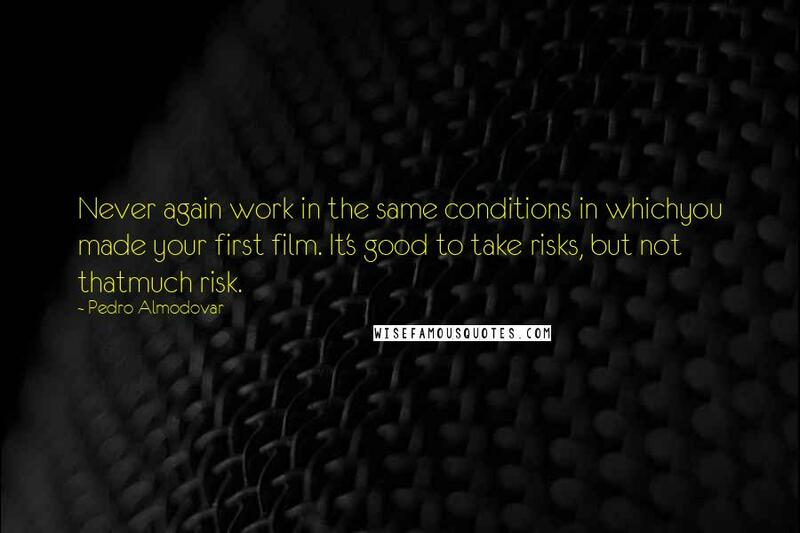 I loved to give my own version of stories that everybody already knew. 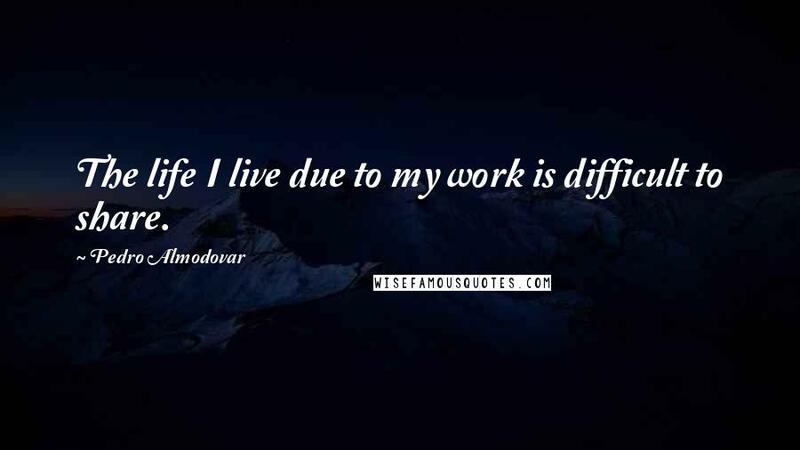 The life I live due to my work is difficult to share. 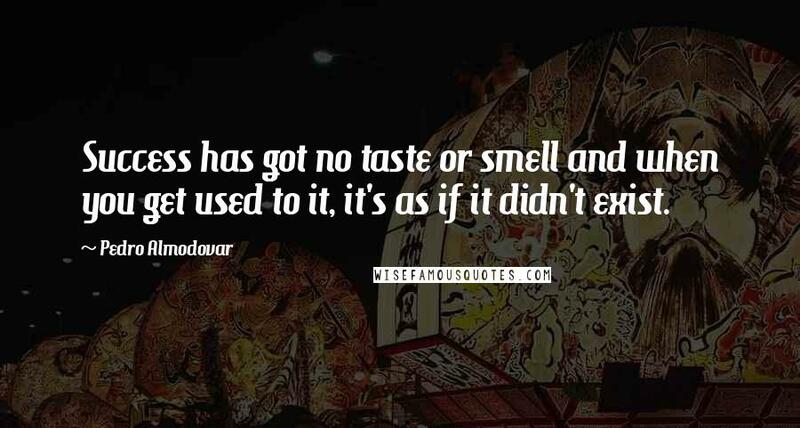 Success has got no taste or smell and when you get used to it, it's as if it didn't exist. 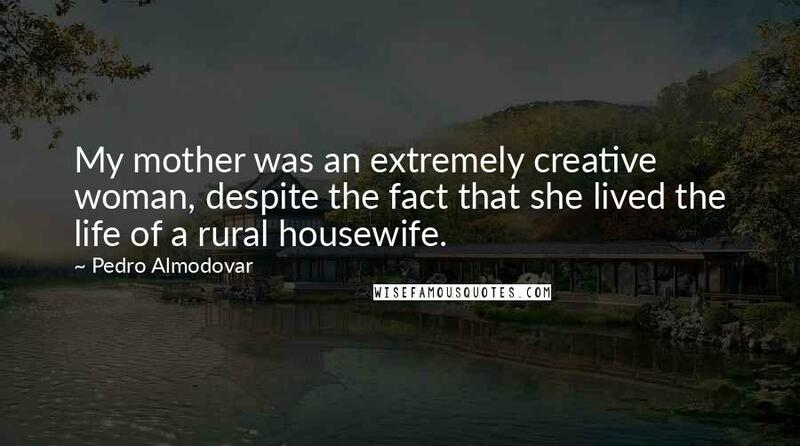 My mother was an extremely creative woman, despite the fact that she lived the life of a rural housewife. 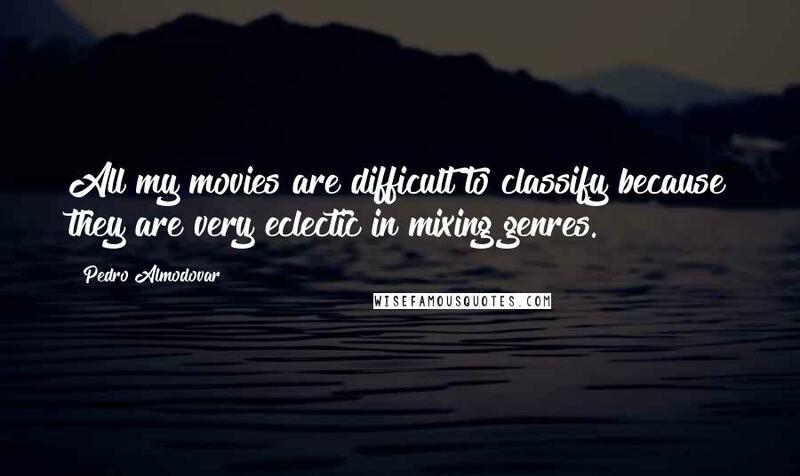 All my movies are difficult to classify because they are very eclectic in mixing genres. 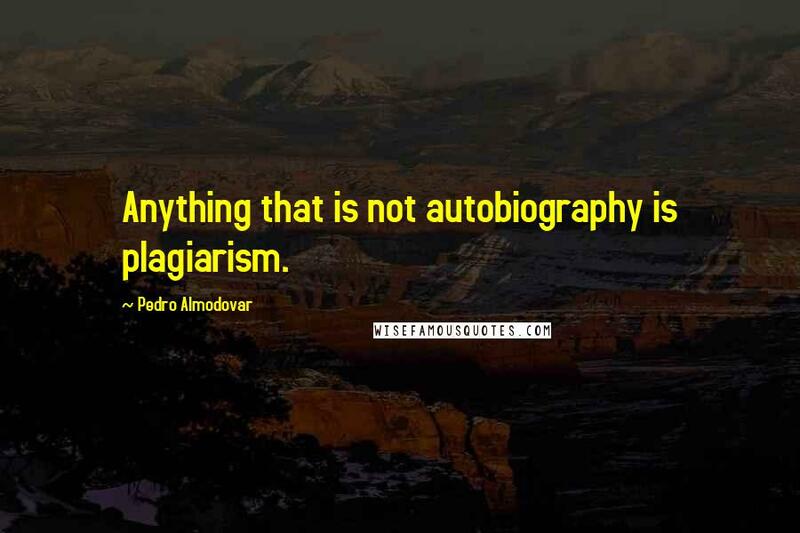 Anything that is not autobiography is plagiarism. 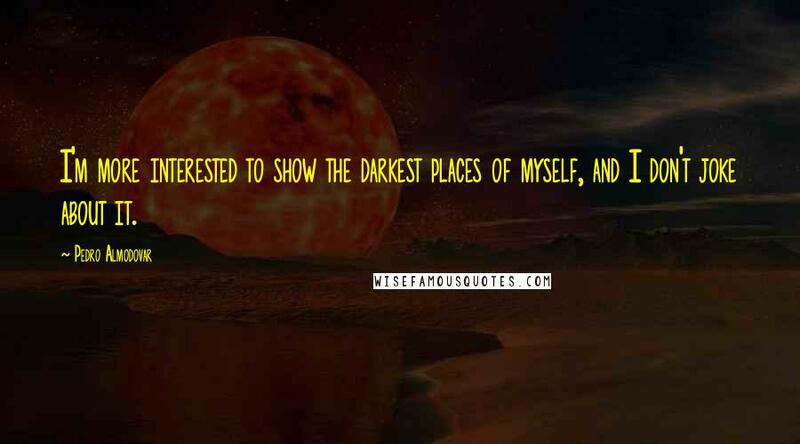 I'm more interested to show the darkest places of myself, and I don't joke about it. 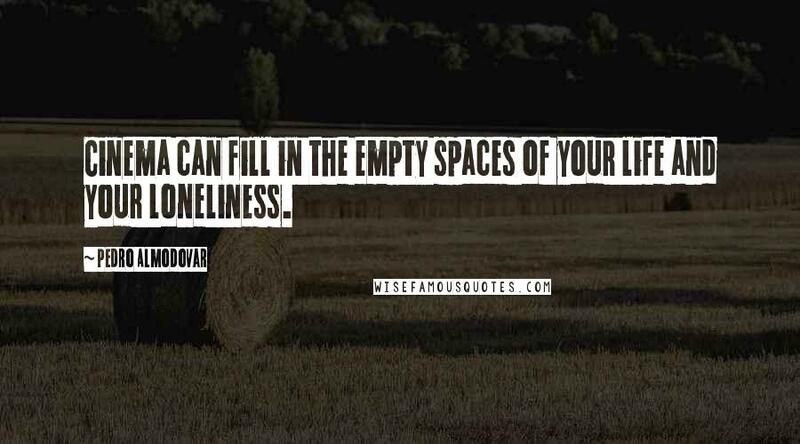 There is a mysterious stillness and intimacy of a woman doing her hair and make-up which attracts me. 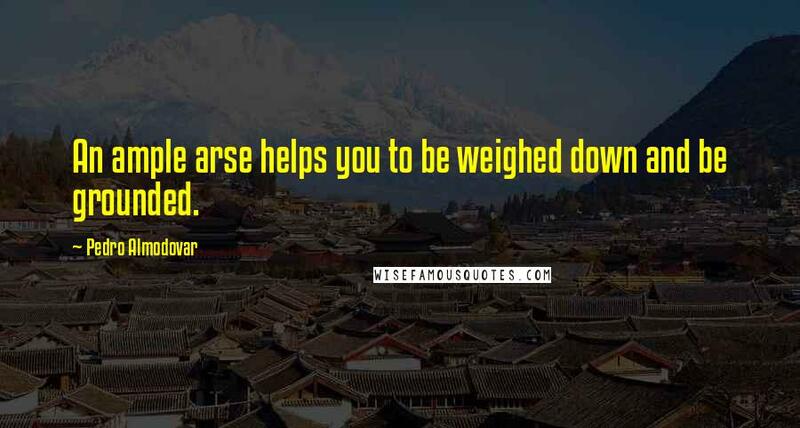 An ample arse helps you to be weighed down and be grounded. 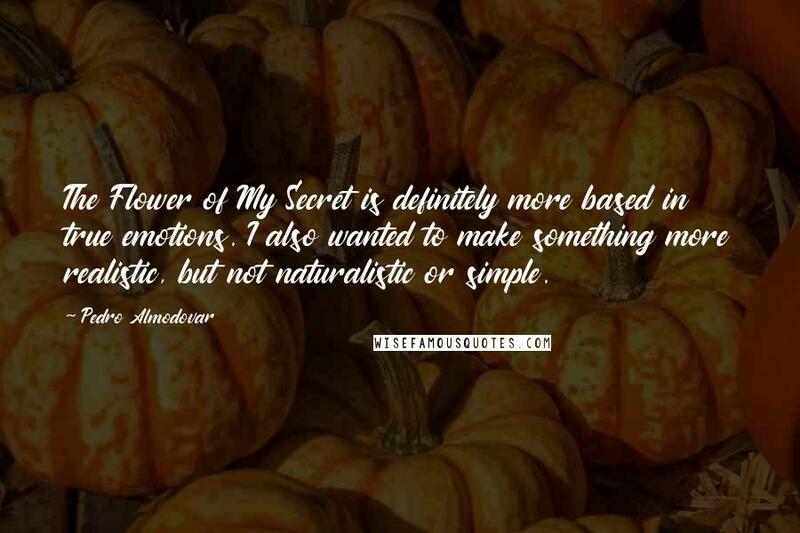 The Flower of My Secret is definitely more based in true emotions. 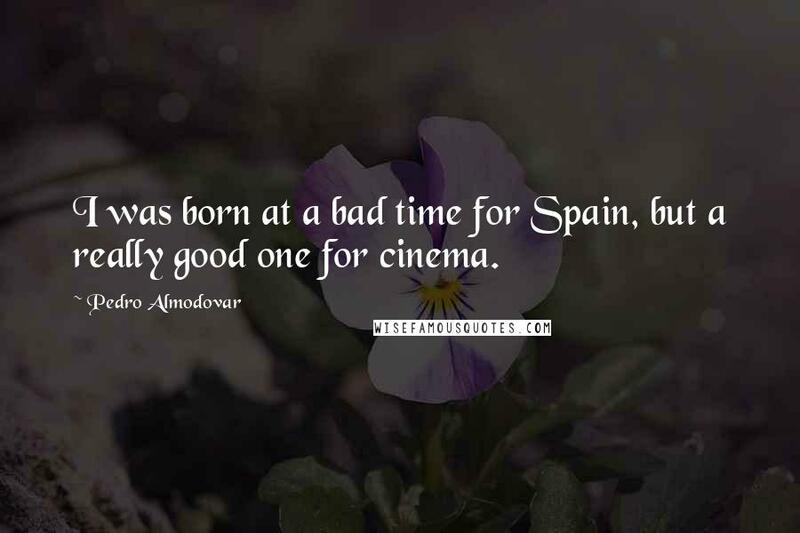 I also wanted to make something more realistic, but not naturalistic or simple.